From puffins to auklets and bald eagles to eiders, the Aleutian Islands are a hotspot for birds. 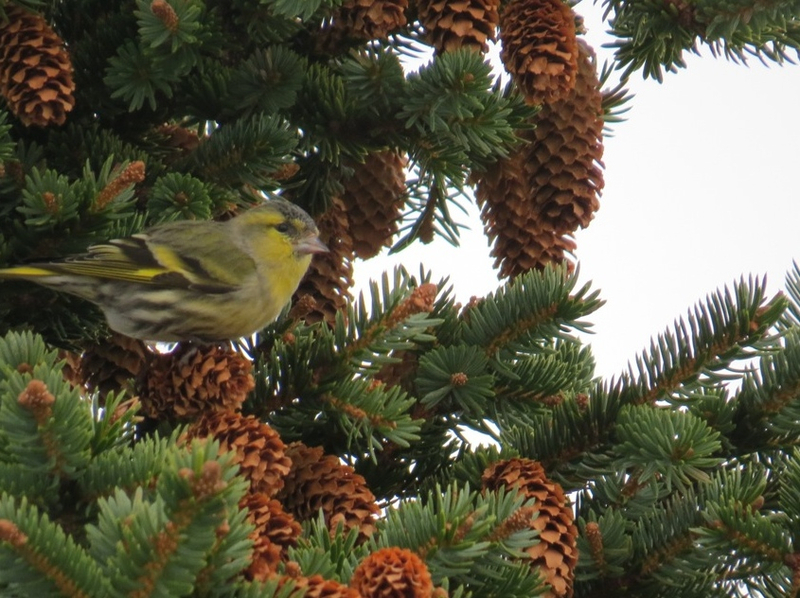 On this episode of "The Exchange," local naturalist Suzi Golodoff discusses the new course she's teaching for aspiring birdwatchers -- and the "megarare" find she recently made in Unalaska. Q: The Aleutians are home to such a diverse range of birds that the Nature Conservancy calls them the number one hotspot for seabirds in North America. Can you explain why there are so many birds in and around the islands? A: In the summer, millions and millions of seabirds nest here. But winter is really prime time for birding. We’re ice-free and a lot of the seabirds and sea ducks and waterfowl that don’t go all the way south, they winter here in the islands. We have some interesting endemic species -- emperor geese, red-faced cormorants, Steller’s eiders -- that you won’t see in other parts of the state. Also, because we’re so near to Asia and Japan, the Aleutians are famous for having Asian strays and vagrants come in. Q: I understand that we have a lot of visiting birders on the island right now looking for some of these rare species. A: Yes, we had that Typhoon Nuri back in November and we didn’t really get hit with any weather. But the weather systems must have swept a lot of birds up into the Aleutians. We got this little bird called a Eurasian siskin. And that thing has been just kind of off-the-charts fun. It’s just this little yellow bird that’s totally unsuspecting of what a stir it’s caused. People have been coming in from all over the country to see it, because it’s only the third time the bird has been documented in North America. I put a post out about the bird to let people know. Within a minute, my phone started ringing and my email started flooding in. They call it a megararity. But the American Birding Association [also] has codes that kind of tell how rare a bird is. And they called it a code five bird, so I had to kind of ask off to the side, ‘What does that really mean, a code five bird?’ And they said, ‘Well, code six is extinct.’ So a code five is a very rare bird. Q: You’ve been teaching about birds in Unalaska’s schools for a while now, but this is the first time you’ve offered up your knowledge in a class for adults. If people sign up, what can they expect? A: I think for the most part we’ll just be doing some little outings and going out and seeing what’s out there. But also I’d like to share some thing about how to identify birds and a little bit of field skills and maybe a little bit about binoculars and field guides. Just birding tips. I’m just going to wing it and see what people want and need out of the class. Q: Why would you suggest your class to someone who hasn’t gotten curious yet about the island’s birds? A: Most of us have some place in us that wants to connect with the natural world, no matter where we live. Even if it’s a kind of place where people work all the time and we’re inside sometimes with the weather, I think that getting to know what’s out there around you — whether it’s looking at wildflowers or learning the stars, or looking at birds — it’s a very comforting way to connect with things. Birding seems to be one of the ways that people first begin to make that connection. Registration for Suzi Golodoff's birding class will be open through March 7. For more information, contact the Unalaska community center at 581-1297.